I had never heard of such a thing as a Hoopoe until I read John Michener’s novel, The Source. That was a long time ago. The book was published in 1965, and if I remember correctly I read it right after it came out. I was a Michner fan back then. He wrote 27 fictional novels – and not skinny books either – between 1947 and 2007. The first was Tales of the South Pacific, and the last was Matecumbe, published in its unpolished form a year after his death. Of all Michener’s books, The Source was my favorite. I think it was because of how Michrner used the bird as a literary device, how described it, and how he named one of his characters Hoopoe, and then claimed he had been named after the bird. When I read The Source those many years ago, I never expected I would ever get to see a Hoopoe. 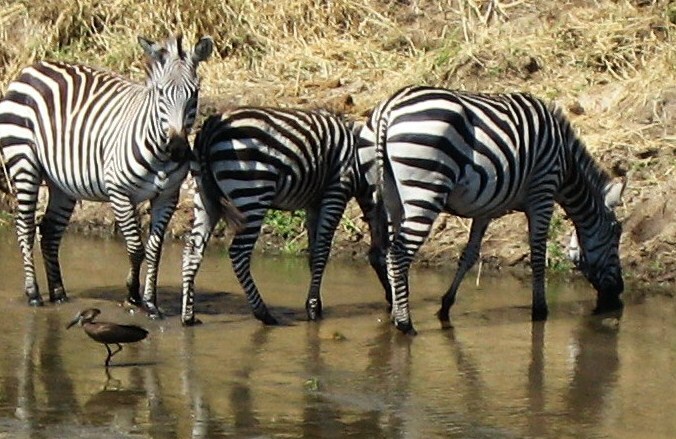 But I did, while on an African safari in 2007. That trip was one of the top two travel experiences of my life. The other was the 1991 trip when I paddled the Colorado River through the Grand Canyon. I still don’t know which trip should lead off my travel adventure tales. . It wasn’t until 1999 that I became a passionate birdwatcher. It’s a hobby that caught me by the heart right when my 20 years of passionate white-water rafting heydays, were coming to an end. Wasn’t I lucky? I’ve found that life always has questions and surprises – like the Hoopoe – to keep my days interesting. And these days, such surprises seem to engage my brain to make connections with my memories. Life is good. Especially since my back is no longer hurting. Bean Pat http://tinyurl.com/o2jye94 A fascinating tale of the Hoopoe Bird. I’m a Michener fan, too. But I haven’t read “The Source” yet. I’ve read many of Michener’s books, and my favorite is Texas. I tried to read The Source years ago, but couldn’t get into it. You have inspired me to give it another go.